Commentary on Galatians | The Old Adam Lives! For it is written, Cursed is every one that continueth not in all things which are written in the book of the law to do them. Paul goes on to prove from this quotation out of the Book of Deuteronomy that all men who are under the Law are under the sentence of sin, of the wrath of God, and of everlasting death. Paul produces his proof in a roundabout way. 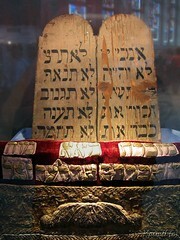 He turns the negative statement, “Cursed is every one that continueth not in all things which are written in the book of the law to do them,” into a positive statement, “As many as are of the works of the law are under the curse.” These two statements, one by Paul and the other by Moses, appear to conflict. Paul declares, “Whosoever shall do the works of the Law, is accursed.” Moses declares, “Whosoever shall not do the works of the Law, is accursed.” How can these two contradictory statements be reconciled? How can the one statement prove the other? No person can hope to understand Paul unless he understands the article of justification. These two statements are not at all inconsistent. We must bear in mind that to do the works of the Law does not mean only to live up to the superficial requirements of the Law, but to obey the spirit of the Law to perfection. But where will you find the person who can do that? Let him step forward and we will praise him. I was having a discussion on another blog with a gentleman that could not seem to give up the idea of ‘HAVING TO DO’ works of the law. I tried the ‘WE WANT TO DO’ works of the law tack, but he didn’t buy it. So, I just thought I’d throw tidbits up here and there about what it means to be a law keeper.